Corrective Reading: DecodingSiegfried Engelmann, et al. 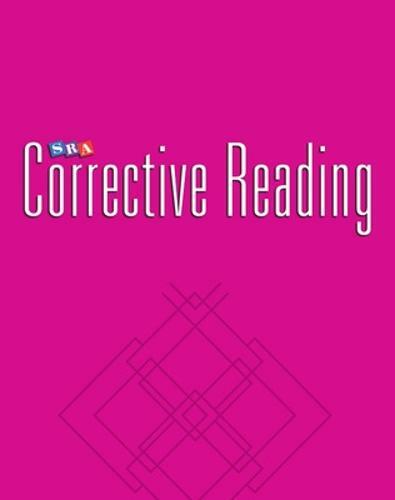 Written for students who have difficulty reading accurately and fluently, the Corrective Reading Decoding programmes provide a unique blend of teacher-directed instruction and high-frequency practice to accelerate decoding. This proven intervention programme progresses from teaching letter sounds and blending to reading passages typical of textbook material. Detailed data on performance allows students to monitor their own improvement and experience success.